For 7 Quick Takes this week, I present 7 Religious Sites That Are Mired In Drama. I couldn’t think of a more eloquent name. I suppose “controversial” would have sufficed, but I like the phrase “mired in drama”. As a side note, I’m not in support of religion dividing rather than uniting, but I think these are all interesting cases that illuminate some of the problems religion faces today. Two things about the name. First, that is a mouthfull, and I’m no good at Spanish. 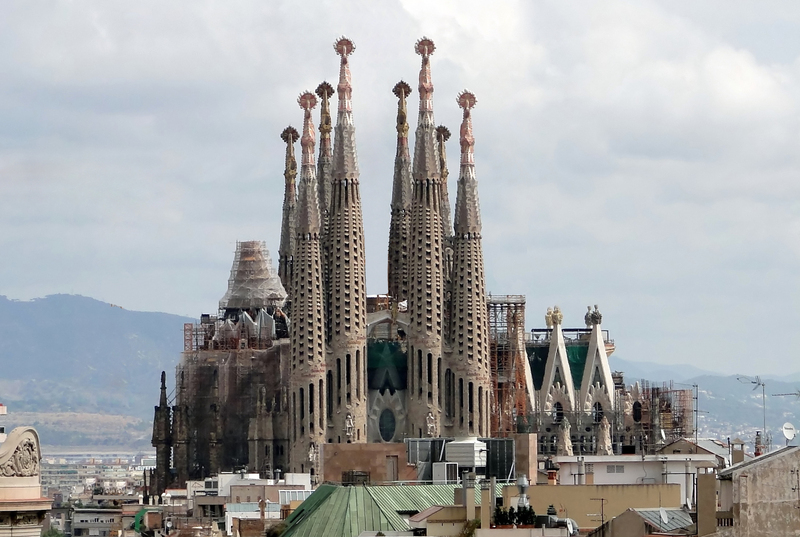 Luckily, the church is usually called Sagrada Família. Second, you may have noticed that word “Basílica” in the title. This is indeed a minor basilica as of 2010. Construction started on this church in 1882 and has stopped and started over the years depending on funding. To give you an idea of length, the mid-way point of construction was just reached in 2010; construction is expected to finish in 2026. This church has divided the people of Barcelona, who worry about all of the other architectural treasures that it may compete with, how the church will be paid for, and if it will ever really be done. Also, the church was recently the victim of arson that caused extensive damage to the sacristy. But the issue that first brought this church to my attention is the possible addition of an underground rail system to Barcelona. (thank Frommer’s 500 Places to See Before They Disappear!) There is considerable debate about whether this will destabilize the church’s foundation, with engineers saying it will. Be sure to check out some more pictures here – it truly is a stunning piece of architecture. If there was ever a religious site that had (strike that – has) too much religious drama, it’s this one. Probably the most identifiable church on this list, this is built at what is believed to be Golgotha, where Jesus was crucified. Given the importance of this church to every Christian, one would think that this would be a peaceful place where Christians of all stripes can come to pray. That would be a very, very wrong assumption. One of the things I find most fascinating is the actual control of the main entrance to the church. Given everything I’ve mentioned above, one would think that it would be nigh impossible to come to an agreement on this! So how is it done? 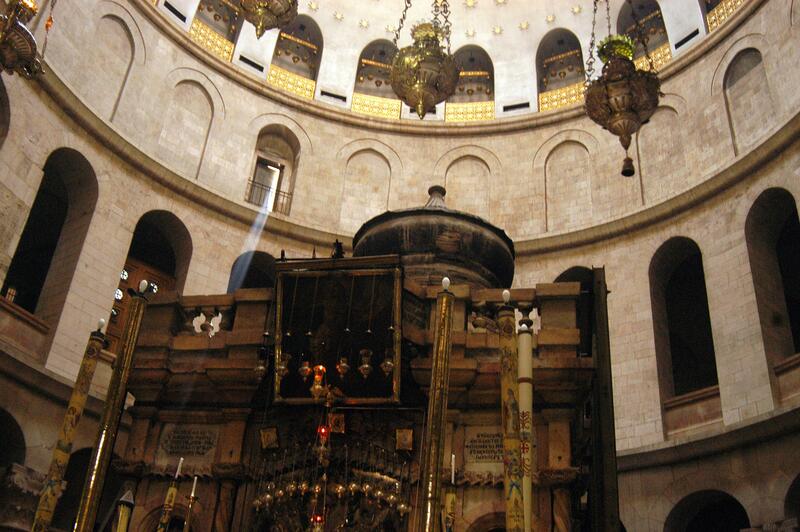 Like the Church of the Holy Sepulchre, the Temple Mount is a holy site contested amongst groups. However, instead of being amongst various Christian factions, this is between both Jews and Muslims. This is where Jews believe Abraham bound Isaac and where two temples were located, among various other important events; the third temple foretold of in Ezekiel will supposedly be built here. Muslims believe this is where Muhammad ascended into heaven and is also associated with various prophets, making this one of the holiest sites in Islam (thanks for the correction, c matt!). Currently, Muslims control the area, and in an attempt to keep the peace, all non-Muslims are banned from praying there. Odds are, if you’re from America, you know about Park51 (originally named Cordoba House). This planned mosque/community center is intended to be right near the site of the September 11th attacks. 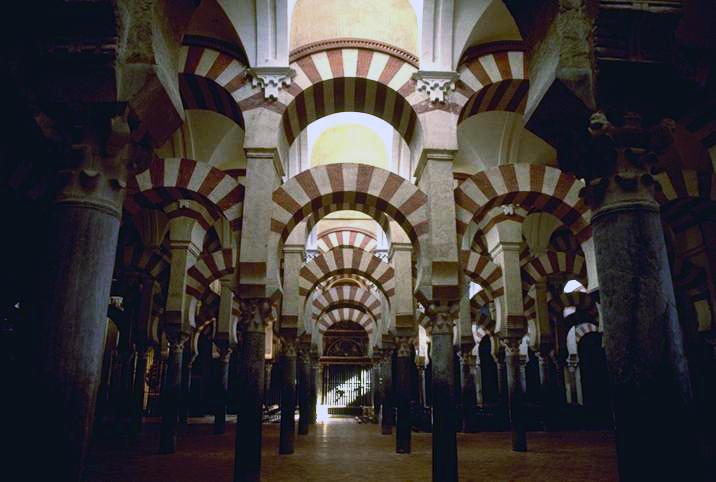 Depending on who you ask, the choice of the name Cordoba could have one of two meanings – it could reference Cordoba, Spain, where Christians, Jews and Muslims founded a peaceful, coexisting community, or it could reference the church in Cordoba of the same name that was conquered by Muslims (and eventually reoccupied by Christians). Regardless of the name, the choice of location has drawn a lot of fire from American citizens and has created a lot of dialogue about what it means to have religious freedom and what it means to be respectful, all while people continue to balance their views with what it means for someone to be Muslim. First a pagan site, then a church and a mosque (split in half), then a mosque, then a church, and now a cathedral, the Córdoba Cathedral (colloquially known as the Cathedral-Mosque of Córdoba) has certainly seen its share of owners. The most recent changing of hands (from Muslim to Christian) occurred in 1236. Starting in 2000, Spanish Muslims have been petitioning local Church authorities and the Vatican to allow Muslims to pray here, although that request has been repeatedly denied. In general, it’s been a peaceful campaign – the only violation was by some Muslim tourists who knelt inside the church in 2010. The Mor Gabriel Monastery in Turkey belongs to the Syriac Orthodox, a minority in what is technically secular Turkey. 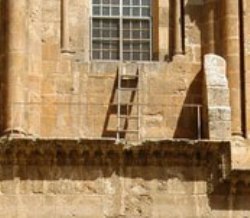 This monastery is one of the oldest still-functioning monasteries in the world, often referred to as a “second Jerusalem” by Syriac Orthodox practitioners. The local government is plans to shrink the amount of land the monastery sits on by more than half. The Wall Street Journal has a good overview of the issues here. One of the most interesting issues here is the desire of the local government to occupy the monastery-owned lands without seeming to be discriminating against the Christians in this Muslim-dominated society. Since Turkey has been attempting to join the EU for quite some time, the issues surrounding this monastery are being watched by the global population. The Barbi Mosque is a little more dated than the rest of these, and is actually somewhat incorrect, as this religious building no longer exists – it was demolished in 1992. Why? This site in India is believe to be the birthplace of a Hindu deity called Lord Rama. The site and the temple there were eventually seize by Muslims. Over the ensuing years, Hindus and Muslims constantly fought over who was allowed entrance to the temple/mosque and on what grounds. Finally, in December of 1992, several Hindus organized a surprise demolition of the mosque when several thousand people had joined at the site to symbolically lay to rest the issues here. Resulting riots between Muslims and Hindus (here and throughout India) resulted in a death toll around 1,500. These two groups still argue over the land to this day. My undserstanding is that Mecca and Medina are the holiest sites in Islam, so the Temple Mount would be third, if that.